WHEN I WAS A SCHOOL GIRL. 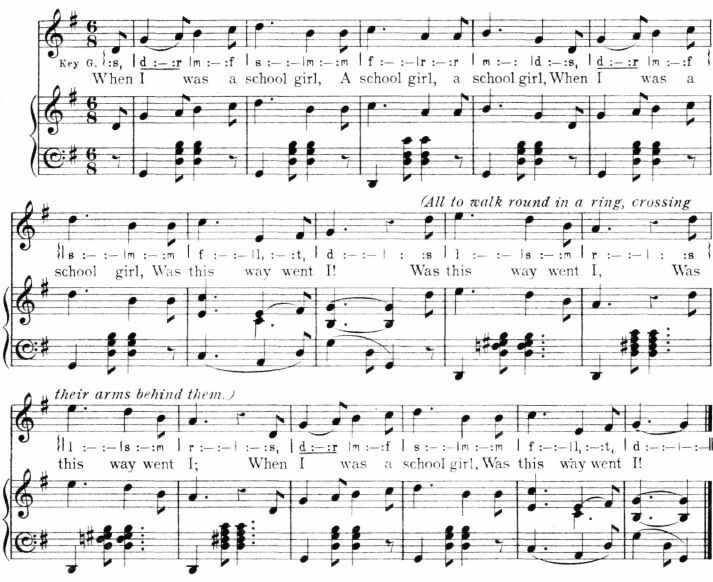 From Alice E. Gillington's "Old Hampshire Singing Games," by permission. "When my teacher hit me," etc, etc. "When /clean my shoes," etc, etc. "When /wash my face," etc, etc. When / brush my hair," etc, etc. "When / was a kitchen maid," etc, etc. Accents fall on the words in italics.